Discosalt talks to Steven Daly, founding member and original drummer of the classic post-punk group Orange Juice; one of the first bands to kick-start Scotland’s indie scene and codify the post-punk genre. The band, often credited for “inventing” indie-rock, has just released a new Boxset: Coals to Newcastle, made up of six audio compact discs and one DVD that contain the band’s complete discography and other studio recordings as well as a collection of their BBC sessions. Coals To Newcastle also contains 16 previously unreleased tracks with another 23 tracks previously unavailable on earlier re-issues. D: Both orange juice’s sound and look on the first unreleased LP is pretty raw but the band really morphed into an incredibly stylized pop group in a short amount of time. Was this a conscious direction for the band or did it happen more organically? SD: I was only involved in the original line-up, so I don’t know exactly how the changes happened. Initially they were definitely not organic; after that, I think Edwyn probably followed his instincts a little more. D: You quit the band, but then returned for recording “falling & laughing” in 1979. Why was there such serious tension inside the band in those early years and what convinced you to return? How are relations among band members today? SD: I’m still friendly with Edwyn, and see him in London periodically. James is pretty reclusive, so I never see him; David is in Australia and we don’t really stay in touch. As far as 1979 goes, Edwyn and Alan Horne had surrounded themselves with a group of admirers who assured them that the band was perfect as it was. I knew we were nowhere near “ready for primetime.” Eventually the band members knew there was a lot of work to be done before it was time to really start playing live and making records. D: A lot of contemporary bands like The Drums, The Pains of Being Pure at Heart, Teenage Fanclub list you as one of their major influences. Can you hear a bit of yourself in these bands? And are there any bands today that stand out for you? SD: Over the year I’ve heard influences here and there; but to me, the one band that seems to have carried forward the spirit Orange Juice/Postcard would be Belle and Sebastian. I should point out that that when I saw them a couple of years back I thought they were a lot better than we ever were, certainly in a live context. D: How did the release of the new boxset: Coals To Newcastle come about and can you tell our readers a bit about the collection and what they can look forward to? SD: I wasn’t involved in the conception of the “Newcastle” set, but it’s probably more interesting than most similar ventures in the sense that it shows how Edwyn went from a relatively straightforward indie-rock style into a pretty broad, perhaps even random, variety of styles. I guess his songwriting style would be the one distinctive element that carries through the whole project. 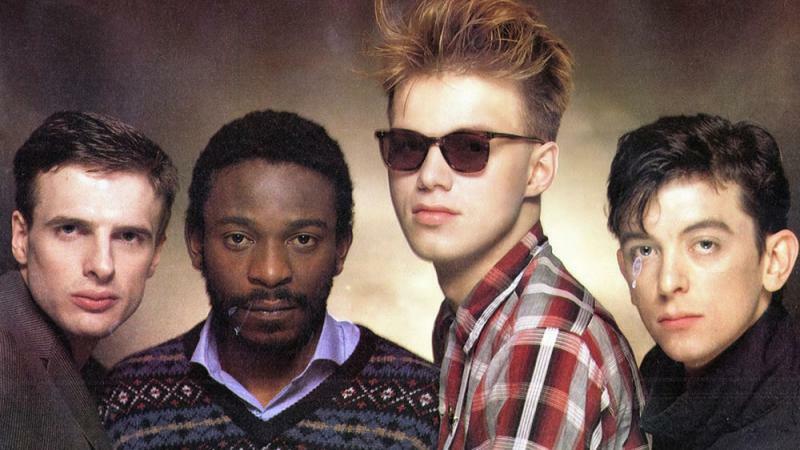 D: Any chance of an Orange Juice reunion tour anytime soon? Continue Reading the full article > Download Issue 1 of DISCOSALT MAGAZINE FREE!